Sidewalks and patios serve many purposes and require correct installation using the best concrete and installers with the most experience. The job has to be done right both for longevity and safety. 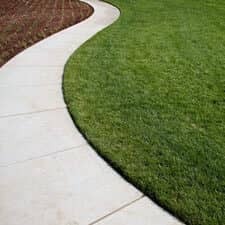 If you are a homeowner, business owner, or a city in the Twin Cities needing new sidewalks installed or a homeowner ready for a new patio, ACT Asphalt Specialties can do the job for you and do it right. Our experts will evaluate the area, prepare it, and use the proper paving techniques to give you the sidewalk or patio that you need. Our craftsmanship and the ability to listen to the customer and meet customer needs is what makes us a premier asphalt paving company serving the entire Twin Cities metro. Property owners and municipalities both have many purposes for sidewalks. Homeowners opt for them in order to give themselves and visitors designated walkways that can prevent them from having to walk on the lawn. It is a smooth surface that is free of obstacles and mud and even adds aesthetic appeal to the property. Municipalities require them so that pedestrians have a designated path that directs them through and around traffic. Sidewalks also serve a great purpose in parks and around businesses so that pedestrians are safe and so food traffic can be appropriately diverted away from dangerous areas. There are different styles of sidewalks that can be installed. The new sidewalks can match existing ones or existing ones can be replaced to create a whole new look. It is very important that the chosen style of sidewalk is one that sturdy and level so that it lasts as long as possible and so all that use it are safe. Patios are fantastic additions to homes. They give homeowners and their families an additional space to enjoy outside. Some individuals choose to enclose their patios so they can enjoy the outdoors and extra space without having to contend with the weather or bugs. Whichever you decide, there are different designs and types of concrete and concrete colors that can be used to build a patio that matches the architecture of the home and gives you the space that you want. Patios can also vary in size. If you have a large family or you wish to have large gatherings on your patio with lots of patio furniture, we can build what you want to accommodate your wants and needs. If you envision it, we can build it. If you don’t know what you want, we listen to your needs and make suggestions that will help you decide. Sidewalks are important to homes, businesses, and municipalities because they provide individuals with a safe place to walk. This is why it is imperative to ensure that sidewalks are present in the proper places and in good condition. As for patios, they make a great addition to the home and they add value. If you want more information about our sidewalk and patio paving services, please contact our Minneapolis concrete paving contractors at (651) 484-1696. At ACT Asphalt Specialties, our paving contractors proudly provide concrete paving services to the Twin Cities.